Would you like to improve the image your company presents to your channel and end users? Would you like to show buyers how your product works or reinforce your brand? 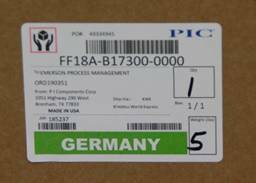 Would you like to reduce your inventory of preprinted labels? You can achieve these goals and more by moving to on demand color labels. 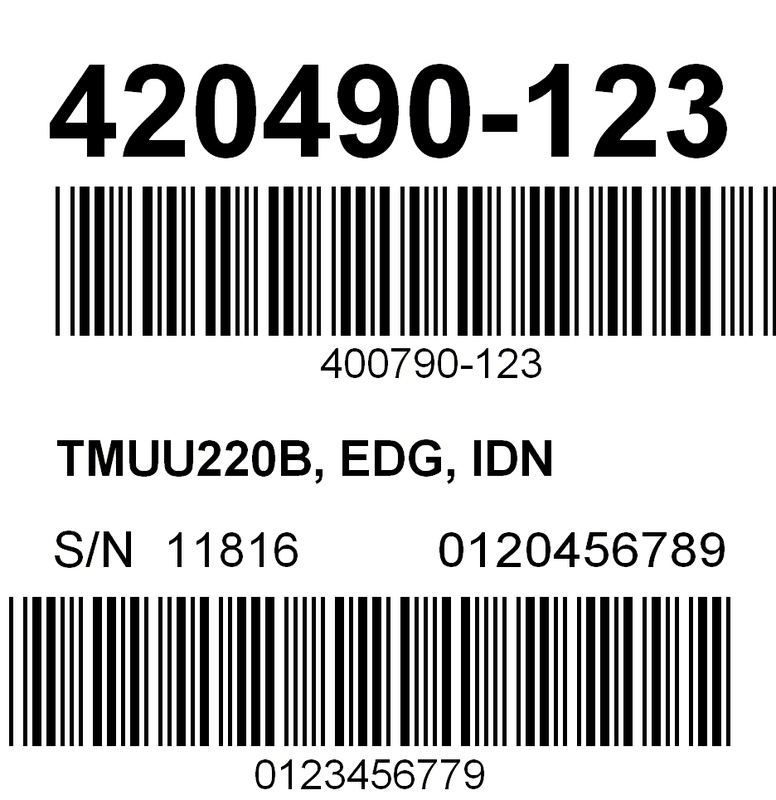 Today, most companies use traditional black only text/barcode thermal transfer labels for their manufacturing or logistic operations as well as tags, tickets and wristbands in other markets. Or they purchase preprinted color media and add the variable data in black. 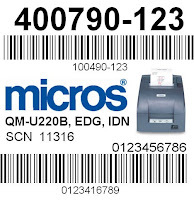 It’s the way the automatic identification business has been done since the development of the barcode. But it is the best option for your business? 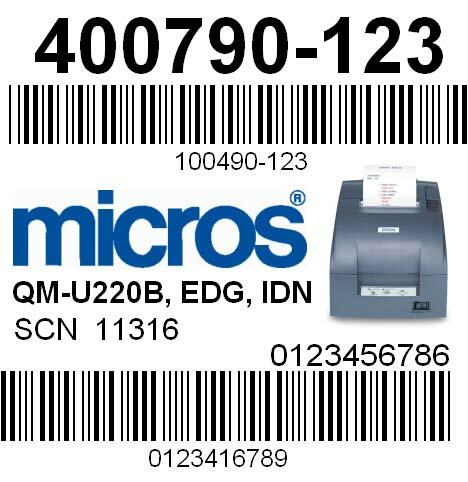 With the development of on demand color label printers, companies can produce labels, tags, tickets and wristbands in color. But why should companies make the change to color? What are the benefits of on demand color labels? Reinforces your brand and brand image. Companies spend billions of dollars each year building and strengthening their brand and brand image. But companies spend very little money on one interaction that almost every member of their channel and their end user have with their products; labels. By adding a color image, logo or text, you can improve the look, and thus image of your product. Simply ask yourself; which label looks better? Enables color images, logos and more. By adding a simple image of the product or how the product functions, you can let a “picture say a thousand words”. Permits last minute design changes. Preprinted labels require a large minimum purchase quantity of labels. This large purchase quantity may enable volume discounts, but it may also mean waste and inventory obsolescence when label changes or edits are required. With on demand labeling, you make the changes at the last possible moment; reducing the overall costs of your labels. Emphasizes important information and warnings. 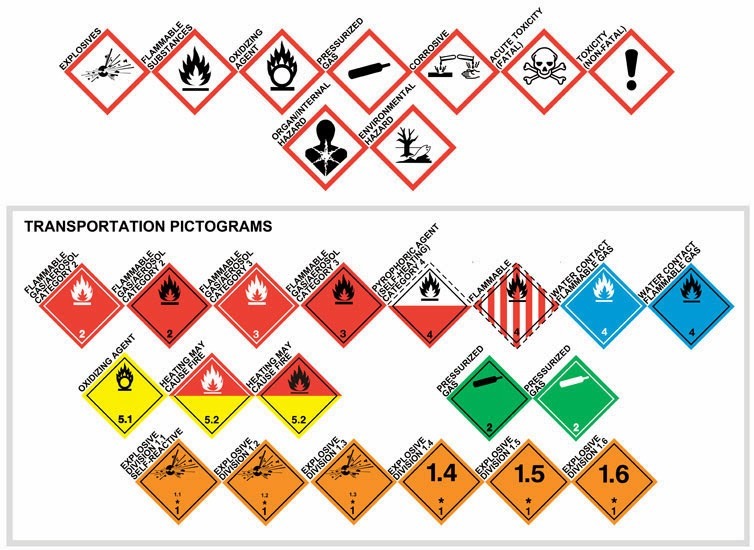 By using color, you can emphasize important information such as ship to information, staging information, warnings and much more on your labels. For example, P.I. Components, a division of Emerson Process Controls, has eliminated all shipping errors since adding a color for each of their 8 ship to locations. Promotes special offers. With color, you can turn the interaction your distribution and customer has with your label into a marketing and sales tool with little to no incremental cost. Is it worth the change to add color to your labels, tags, tickets and wristbands? I believe the answer is yes! 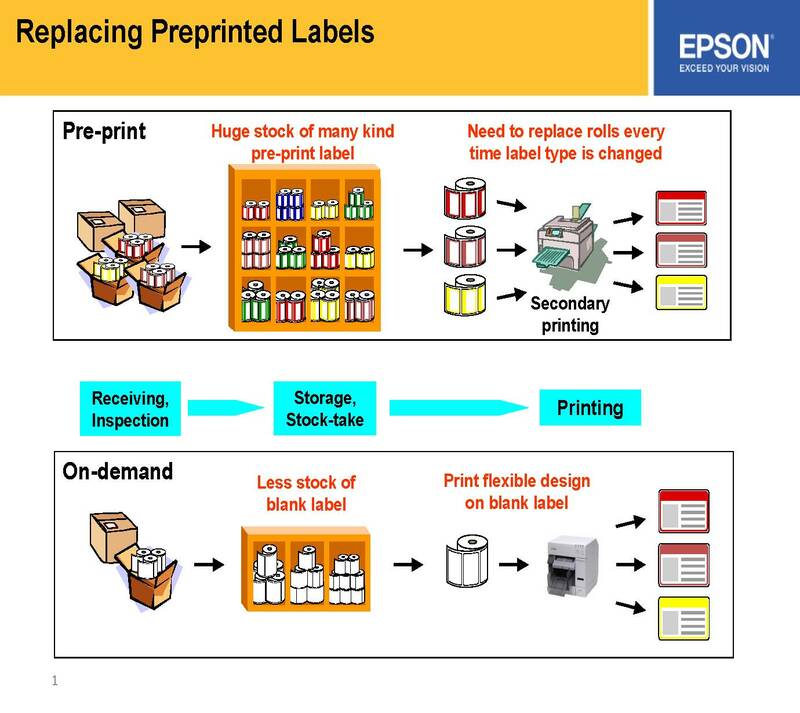 Eliminates preprinted, color label inventory. Many manufacturers spend a great deal of money placing an image of their product on the container. 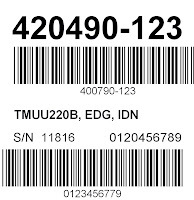 However, if you have thousands or tens of thousands of SKU’s, it may be difficult and expensive to keep an inventory of preprinted labels for each SKU. With on demand printing, a manufacturer can print a label with an image as needed, and reduce their inventory of preprinted labels as well as reduce the cost of labor to pick the correct labels, replace label stock and fix mistakes. Reduces labor and waste. 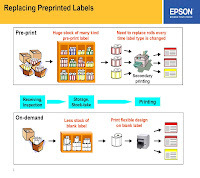 When using preprinted labels, an employee of a company must look for the label, pick the correct label, apply the correct label and place the label stock back in the correct location. 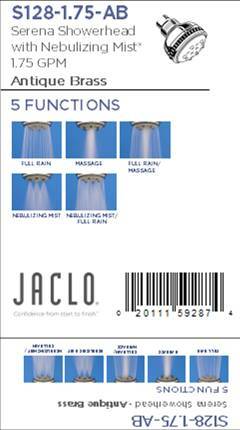 Replacing this process with on-demand labeling, Jaclo plumbing saved over 1 man-year of labor making their operation more productive. How long do you think finding labels in files these below takes?